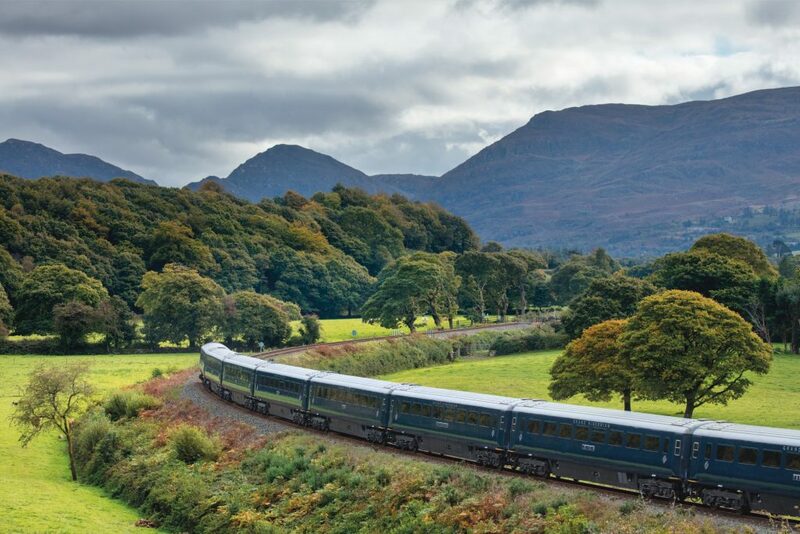 Enter a world of elegant carriages, attentive service and fine cuisine on board Ireland’s first luxury touring train. Accommodating just 40 passengers in 20 cabins the train offers an intimate experience with an ever-changing backdrop of Ireland’s landscapes. Choose to take an extended 6 night tour or opt for a shorter 2 or 4 night tour which may be combined with one of our Custom Ireland Castle Vacations for the ultimate in luxury. Or for your Ireland Group Tour rent the train exclusively and customize your own unique itinerary. Luxury train tours may be combined with a Chauffeur Driven Ireland Tour to extend your adventure. Depart Dublin for Cork where you will enjoy a private tour of the Old Jameson Distillery in Midleton, Co. Cork. Return to the train for dinner followed by some local entertainment. The train stables overnight as you retire to your cabin for a good nights rest. This morning you will head south to Blarney Castle for a private tour and a chance to kiss the infamous stone. This will be followed by morning coffee in Blarney. Lunch is served on board as the train continues to Killarney. Take a ride in a pony and trap through the Killarney National Park to Ross Castle before returning to the train for dinner. Enjoy some more of Ireland’s spectacular scenery as you travel to Galway by way of Limerick. A lunch of local specialties will be served in a lively Galway restaurant. 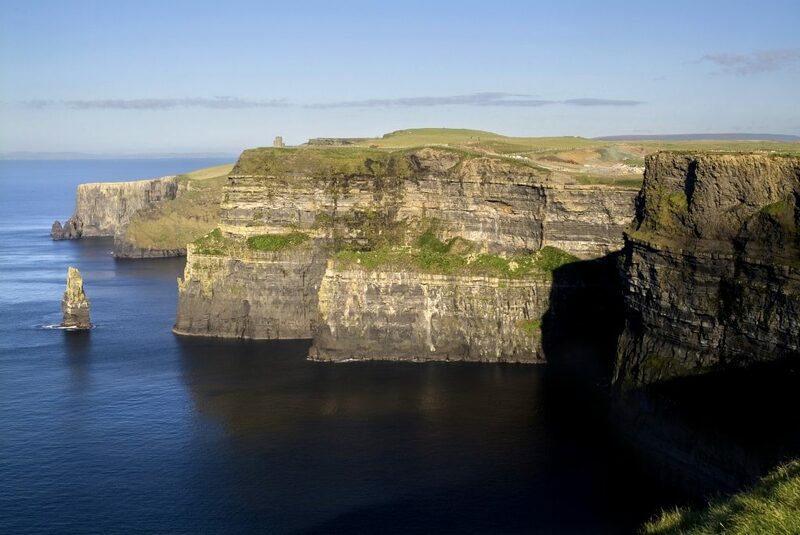 In the afternoon choose between a walking tour of the historic medieval city center or a coach tour to the Cliffs of Moher. Back on board enjoy another sumptuous dinner in the dining car. 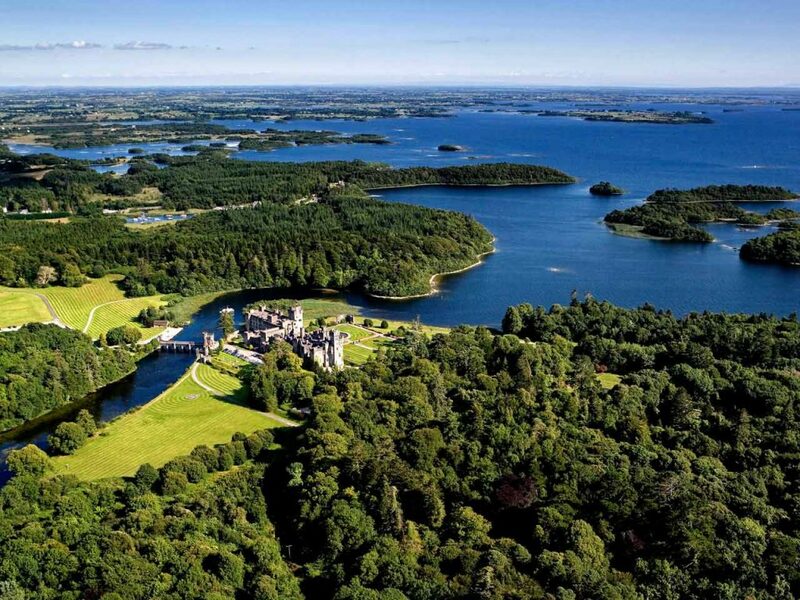 This morning travel to Westport where you will disembark and travel further into Connemara to visit Ashford Castle. 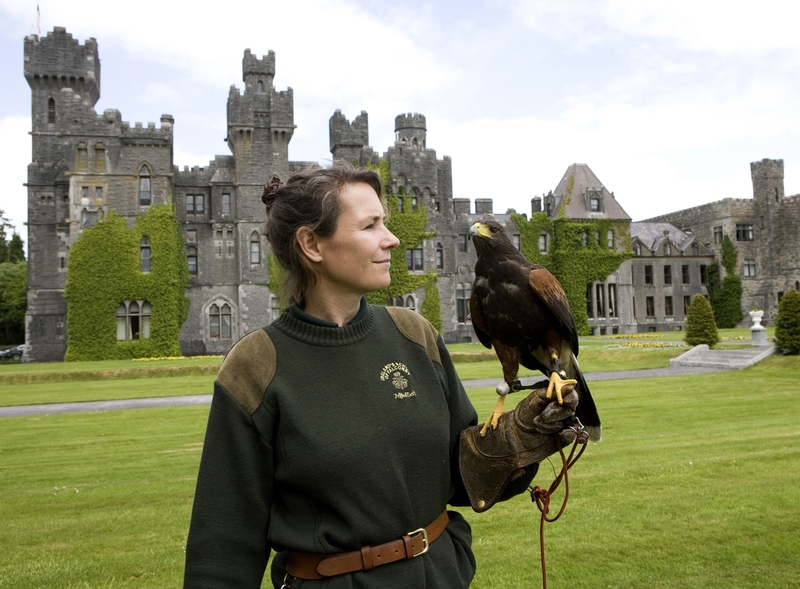 Here you will enjoy lunch at the Castle as well as a guided walk and falconry demonstration. Return to the train in time for dinner. Wake this morning to the gentle rocking of the train as it travels towards Dublin. Here you may like to partake in an optional tour before returning to the train where lunch will be served en route to Belfast. 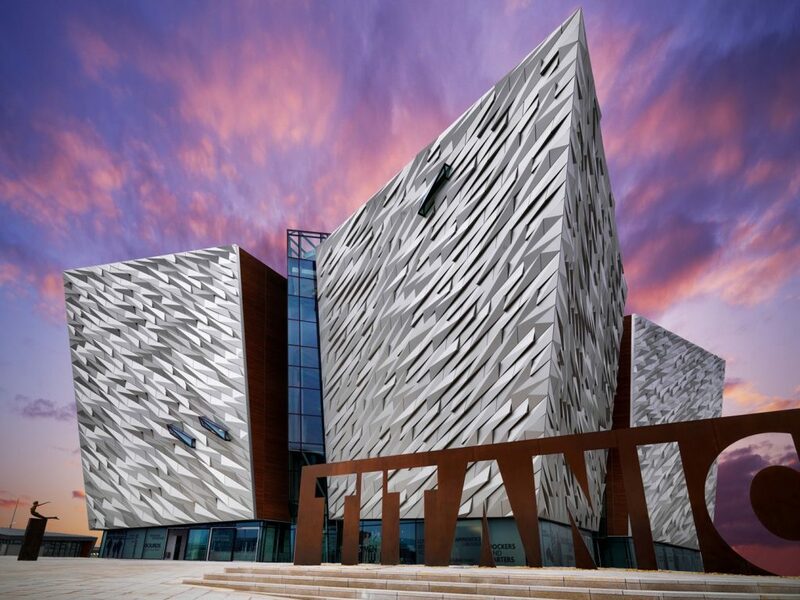 On arrival in Belfast visit the Titanic Experience before returning to your train for dinner. The train travels South this morning to the Viking port of Waterford. Step off to visit Curraghmore House, home to the Marquis of Waterford. Here you will enjoy an exclusive tour and afternoon tea. Afterwards visit the house of Waterford Crystal before returning to the train for dinner, which is followed by some local entertainment in the Observation car. Breakfast is served as the train travels north and returns to Heuston Station in Dublin. Ireland Luxury Train Journeys will include daily meals, drinks, wonderful excursions, guides and a bygone easy elegance!